News! : New route for Classic Oxfordshire! We are pleased to announce a brand new 80 mile route on our Classic Oxfordshire ride in addition to the 12, 30 and 60 mile options! We have given this a challenge rating of 3.5 so it should stretch the muscles of regular cyclists! 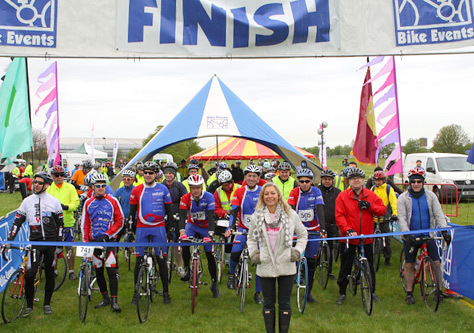 Former British Olympic Gymnast Suzanne Dando opening the ride.